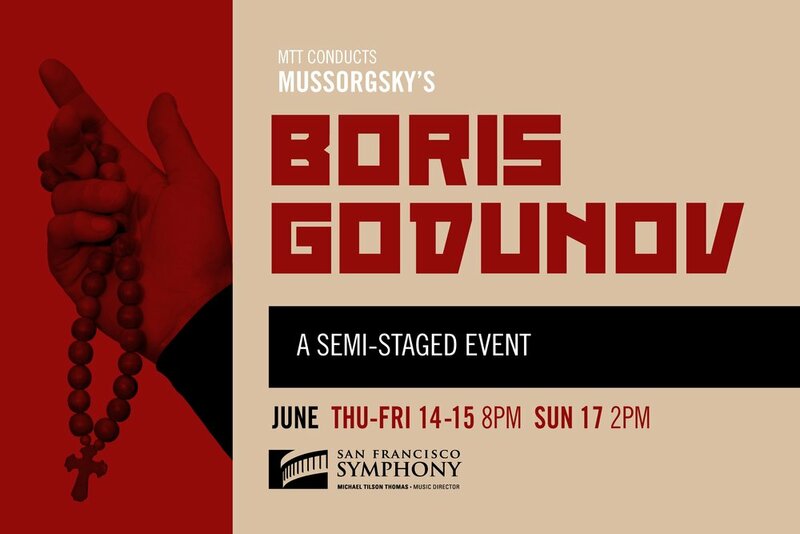 Michael Tilson Thomas (MTT) leads the San Francisco Symphony (SFS) and Chorus, joined by the Pacific Boychoir and an internationally-renowned cast, in semi-staged performances of the epic political drama Boris Godunov featuring Mussorgsky’s original orchestration, June 14–15 & 17 at Davies Symphony Hall in San Francisco. Inspired by Pushkin's Shakespearean tragedy, the work follows the rise and fall of the 16th-century Tsar Boris Godunov in a story underpinned by ambition, power, and betrayal. 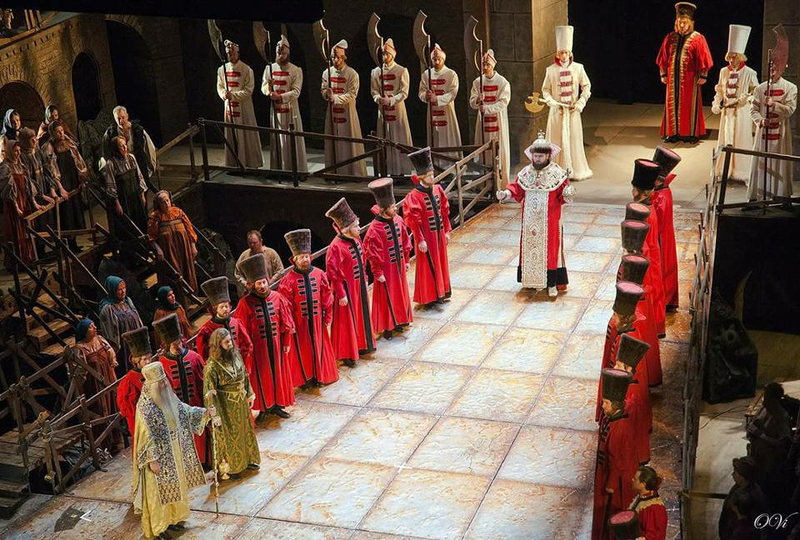 Bass Stanislav Trofimov performs the title role of Boris Godunov; other leading roles are sung by Cuban-American mezzo-soprano Eliza Bonet, soprano Jennifer Zetlan, tenor Yevgeny Akimov and baritone Aleksey Bogdanov. 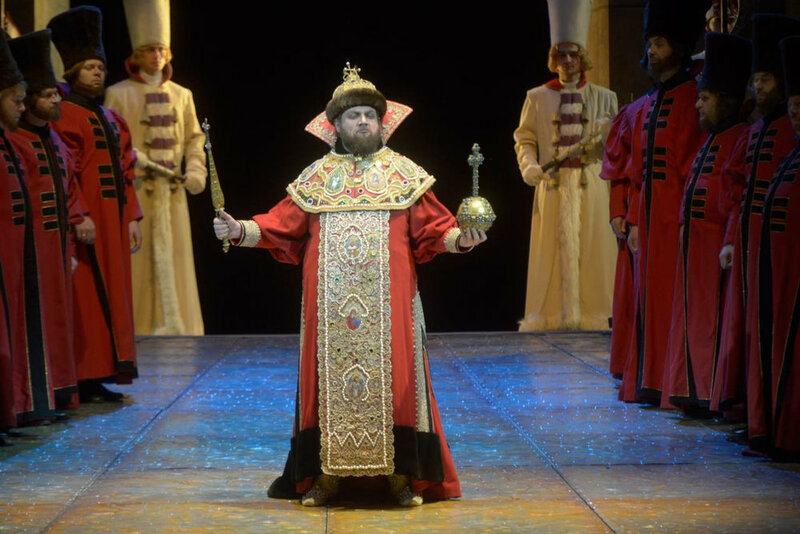 Stanislav Trofimov as Boris Godunov in Mariinsky Theatre's 2017 production. Tickets for all three performances are available at sfsymphony.org.